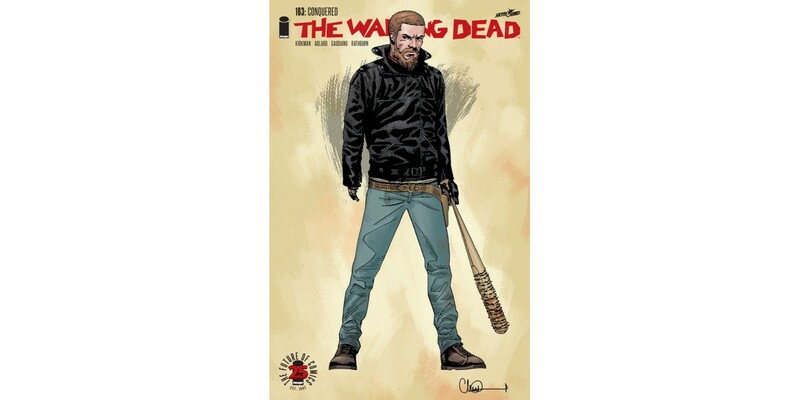 Image Comics/Skybound Entertainment is pleased to reveal a very special limited variant cover for Robert Kirkman and Charlie Adlard’s THE WALKING DEAD #163. 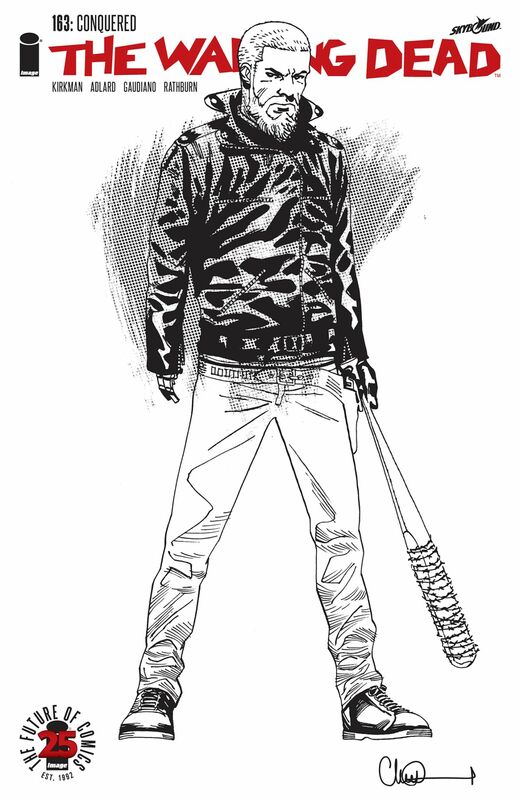 With artwork by series artist Charlie Adlard, THE WALKING DEAD #163 Cover B will feature full colors by Dave Stewart and an image of series protagonist Rick Grimes dressed in series antagonist Negan’s characteristic leather motorcycle jacket and holding the iconic Lucille barbed bat. 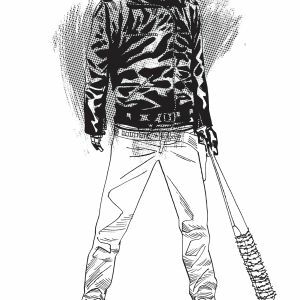 Limited quantities of both THE WALKING DEAD #163 Cover B by Adlard and Stewart and THE WALKING DEAD #163 Cover C (B&W version) by Adlard will be available on Wednesday, February 1st—the official date of Image Comics’ 25th anniversary. Final order cutoff for comics retailers is Monday, January 9th.